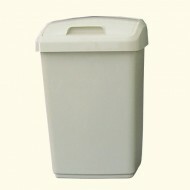 ADDIS Roll Top Bin 10ltr..
ADDIS Roll Top Bin 24ltr..
ADDIS Roll Top Bin 48ltr.. Plastic Swing Top Bin & Top White 8ltr..
25 litre Swing Top Bin & top. High quality, B..
30 litre Swing Top Bin & top. High quality, B..
50 litre Swing Top Bin & top. High quality, B..
8 litre Swing Top Bin & top. High quality, Br..